It’s been almost a month since our John S Knight Center Akron Show in January, and we’re still reeling from the incredible displays we saw! 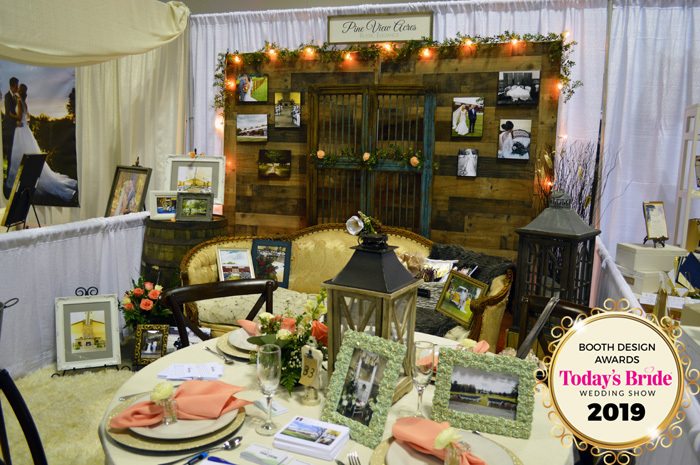 When it comes to booth design, we all agreed that every vendor stepped up their game this year! We are so impressed by your creativity and dedication, making choosing this year’s Booth Design Winners harder than ever! With a chic quilt, tufted chaise, elegant chandelier, and romantic draping, Elisavet Photography made her space cozy and home-like. What bride wouldn’t want to step inside?! She included multiple displays of her work – from framed photos to albums, to a vinyl sign that showcased both her work and her business name! It was open, yet not sparse and had a color palette to-die-for. 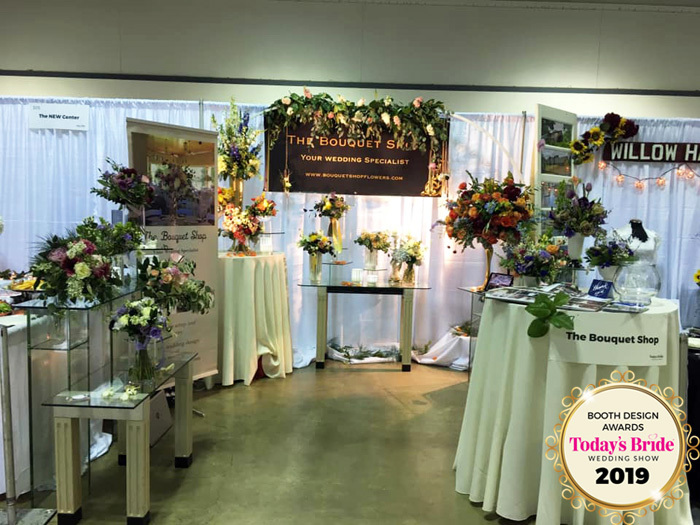 Pine View Acres’ booth came across more as an inspirational design space than a trade show booth! 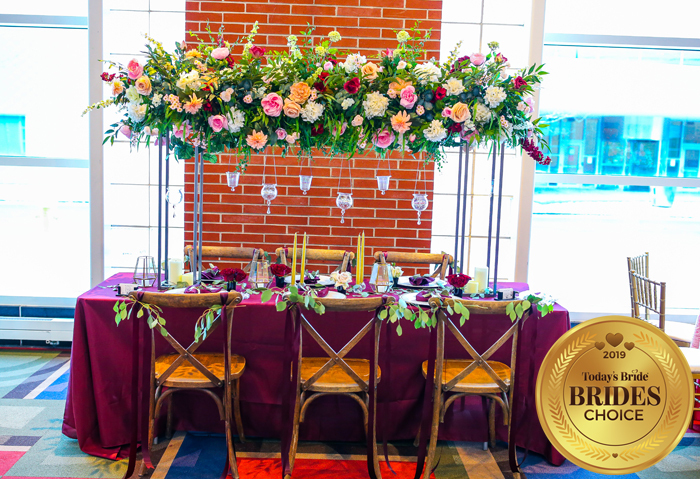 This backdrop and tablescape display just how a bride could incorporate rustic, vintage, or playful themes into their venue. 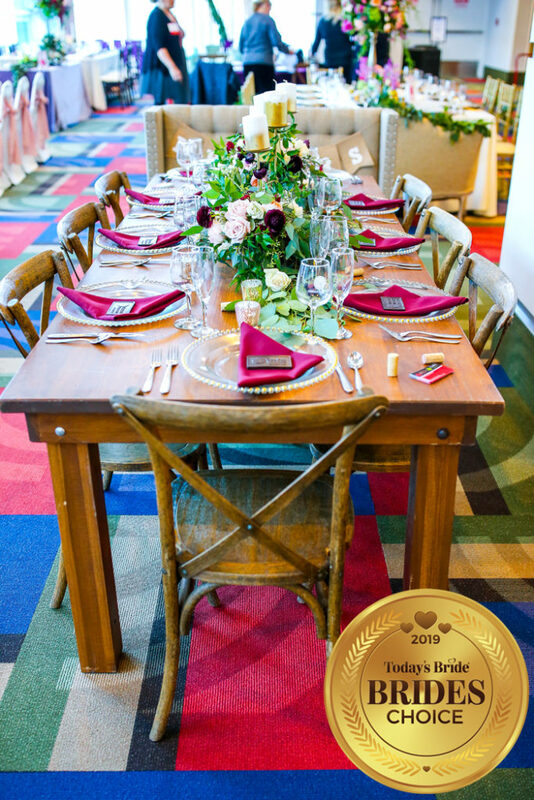 They included photos at every turn so whether you walked by their booth, sat at the table, or stopped inside, prospective couples could envision their very own wedding. 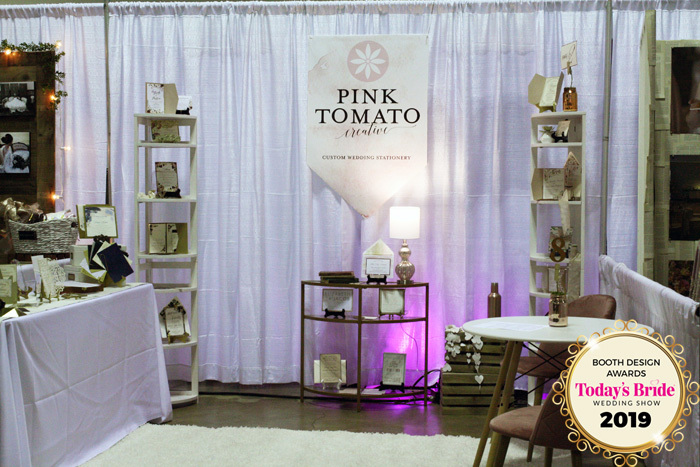 With just a glance at Pink Tomato Creative‘s booth, visitors know exactly who they are and what they sell. Their large, tapestry-like sign clearly states their company name so brides know exactly who they’re talking to. 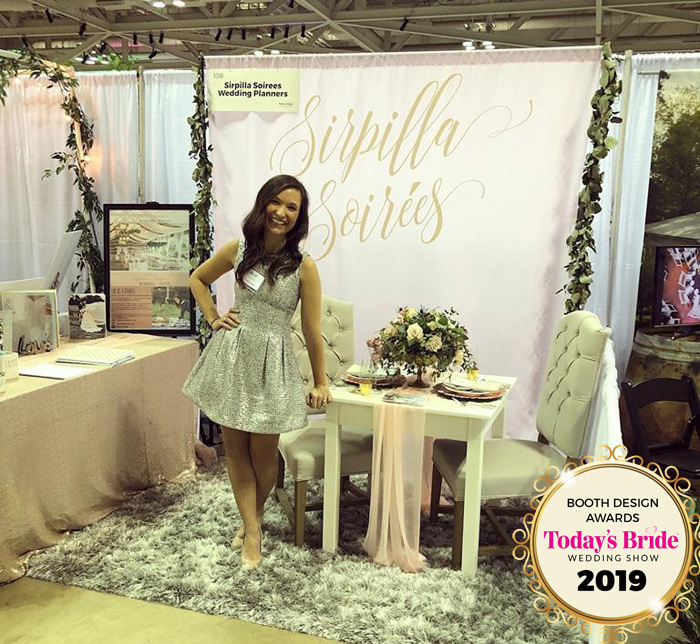 They can then wander around the booth looking at examples of their work and getting inspiration for their own invitations, or sit at the table to speak with Jodi about etiquette, design tips, and to set up appointments! 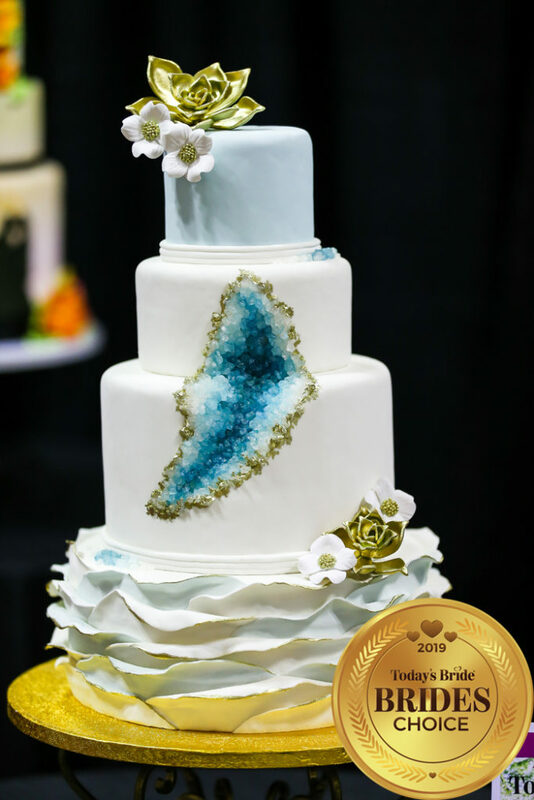 Sirpilla Soirees may be a newcomer to Today’s Bride Shows, but it’s clear she knows just what she’s doing when it comes to wedding planning! Using the oh-so-popular color palette of blush pink, ivory, and gray, and incorporating greenery and flowers, couples could clearly imagine just what she bring to their wedding space! 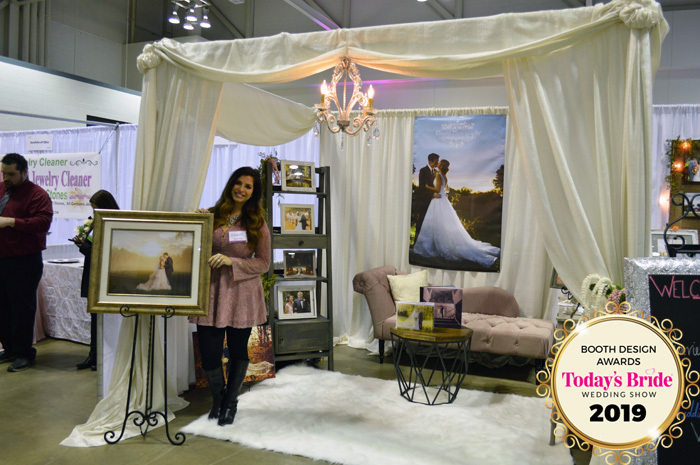 But Nicole knows you can’t just rely on the booth space to sell; she was dressed to impress and wore a smile all day long, inviting brides in and making them feel comfortable! The Bouquet Shop did everything right at the John S Knight Show! 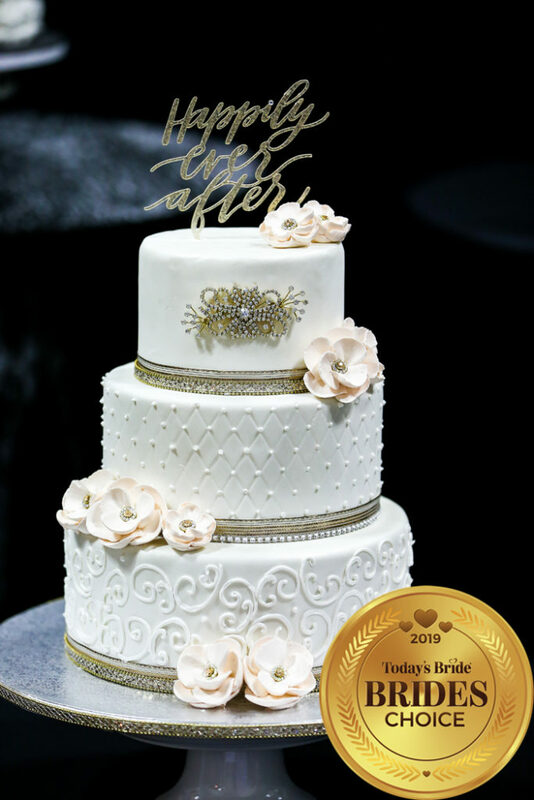 They displayed their name centrally and clearly and framed it with a gorgeous example of what they can offer brides! 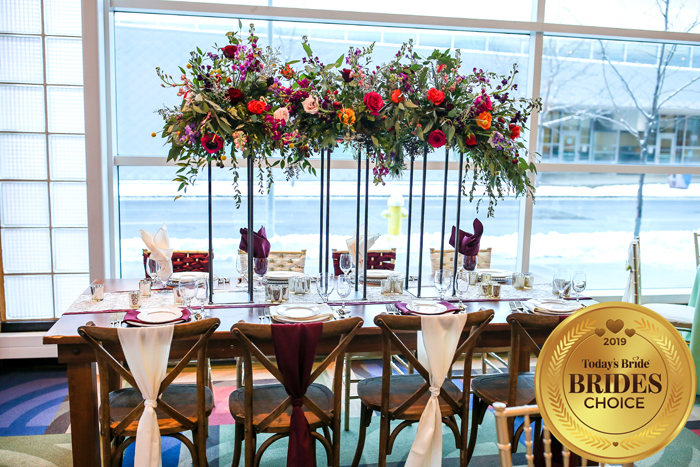 Taking advantage of varying heights, they drew the eye with their dynamic display of arrangements for every wedding! 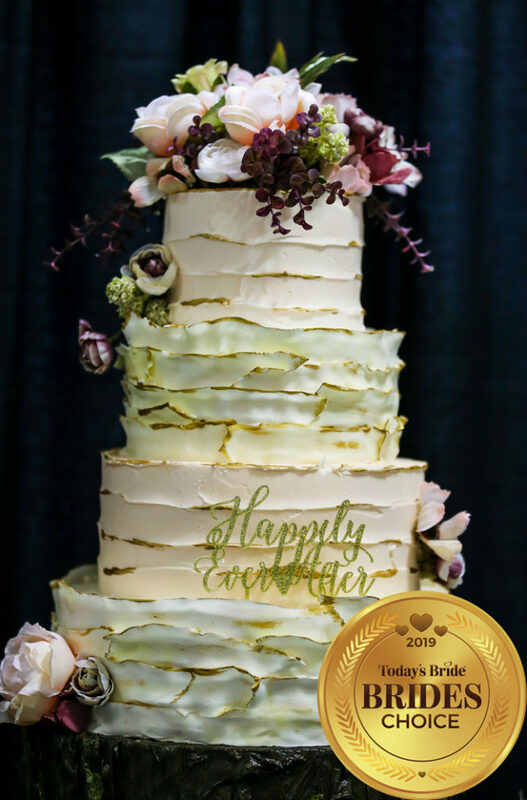 From small arrays to handheld bouquets to extravagant centerpieces, there was something for everyone. They even included a portfolio of their work and business cards up front for easy access!